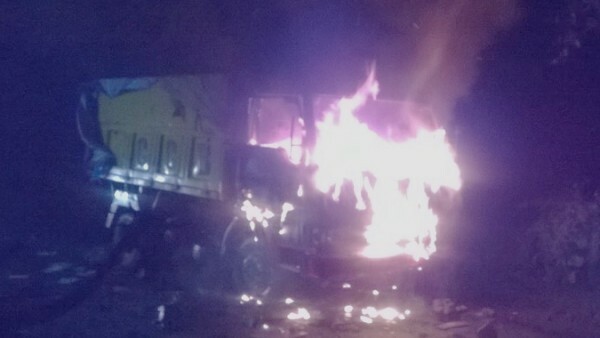 The garbage van of the Belgaum city corporation was set on fire by villagers near a petrol pump in Sulga-Hindalga. The incident occurred in the evening when the garbage van carrying slaughtered animal waste going towards the Turmuri depot. Animal waste from the van fell on the road while the truck was passing by. The road was littered with waste and even the road was blocked for a while.